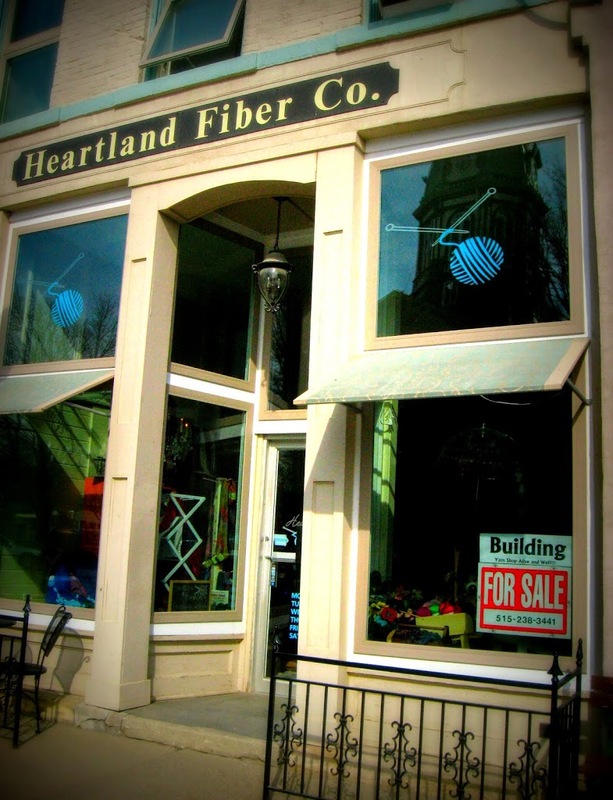 Have you seen the ‘For Sale’ signs in the Heartland Fiber windows and worried about what that might mean for the business? In case you haven’t heard, it’s good news! They are most certainly not closing. Instead, they are about to embark on exciting move and preservation project all in one, involving a building across the square that is near and dear to my heart. Heartland Fiber, owned by Winterset citizen Amy Sawyers, has grown quickly over the last six years: from a home-based operation in which she dyed wool for craft yarn and doll hair in her basement (which she still does), to a very small location next to Teddybear Turn Around, to a shared space on the square within Hometown Decorating, to a storefront of their own on the north side, and then to their current location on the east. They thought they were finally home to stay, but when the landlord decided to sell, they knew the drill: It’s time, once again, to move the yarn! When they heard that Heartland Fiber would have to move once again, Jerry and Randall Parkin spearheaded the idea of several interested parties joining together to buy a building. Amy Sawyers and her sister Linda Kelly agreed to invest with them, as well as Brad and Alyssa Tadlock. 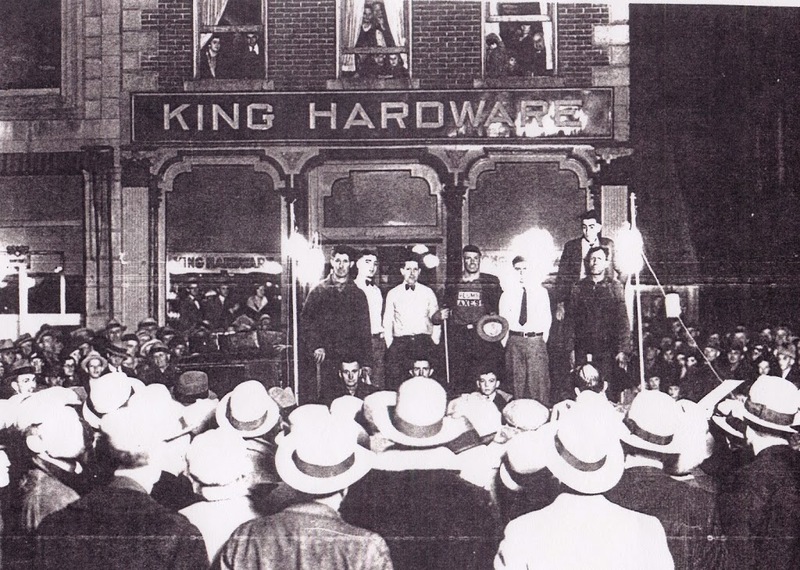 In addition, they determined right away that they all had an interest in making this project an opportunity to restore a historic building on the square. But which one? Can you guess where this is going?? That’s right! 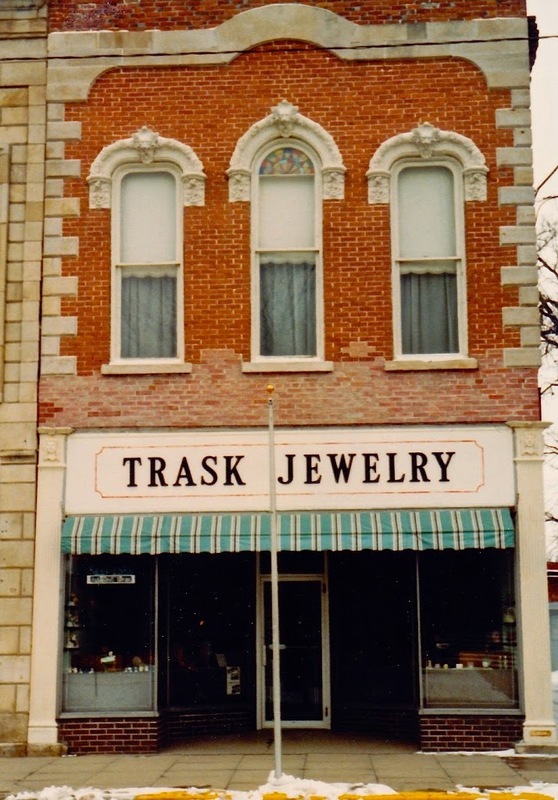 They bought and are moving to the old Trask Jewelry building, most recently Busenbarrick Fine Jewelry, at 112 1st Avenue. This was my grandpa’s jewelry store from 1962 to 1988, and remained in the family as a gift shop until ’96. But of course, it’s history goes back much, much farther than that. It was built in the 1870s by White, Munger, Herren & Co., and for much of its early life it was a dry goods and hardware store. Up until 1877 it sold wool that was produced by a mill that was west of town — not unlike the arrangement that Randall Parkin has with Heartland, 130 years later. That’s because they aren’t original to the building. My grandpa made them in the early sixties by sculpting or carving a face (based on a movie star whose name he can’t remember, he told me yesterday… 13 days before his 100th birthday), using that to make a mold, and then pouring in some kind of compound that hardened and dried. After he popped them out of the mold, he climbed up there and mounted them himself. 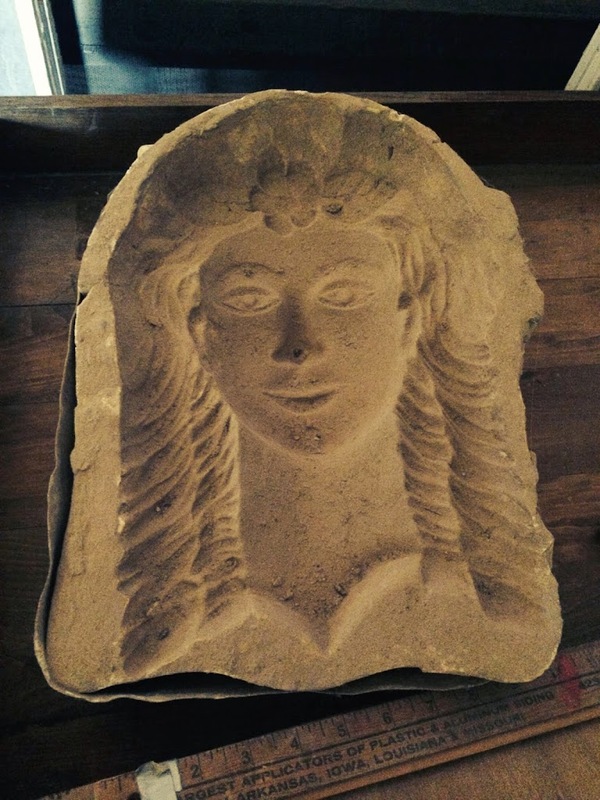 Looking around upstairs in their new/old building, Alyssa Tadlock found the mold, nestled in its original tin. 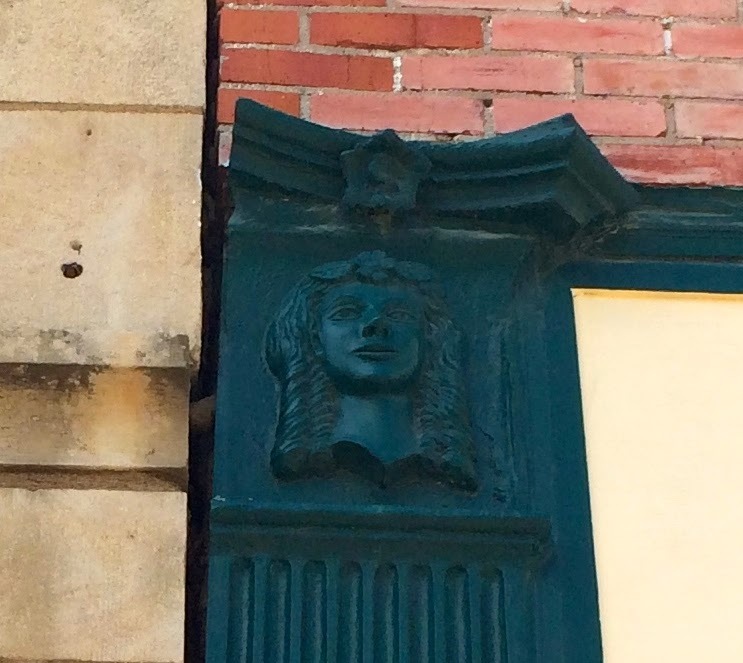 She plans to do something to preserve and display it at the new Heartland Fiber store, as well as some other items to reference the heritage of the building. They have their work cut out for them, though, and a lot to do before they move. They’ve already started work on the downstairs, with plans to paint, remove the carpet, refinish the floors, etc. Amy loves the turquoise ceiling, so at least there’s one surface they can keep! When the downstairs is ready they’ll get moved from east to west in the span of a few days, and they hope to be up and running by October 1st. The upstairs of the building will be a longer term project, but they do have a clear vision, and hopes of being done by January 1st. There will be office spaces for rent toward the upper back, and a commons area with a bathroom and kitchenette. The front two rooms, which offer a spectacular view of the courthouse, will likely be available to the public as event space, as well as a place for Heartland to host knitting classes and retreats. It will be outfitted with plumbing, heat, and AC. At the same time, they will work to preserve and in some cases revive the older elements of the space. Windows that have been boarded up for years will be opened up. 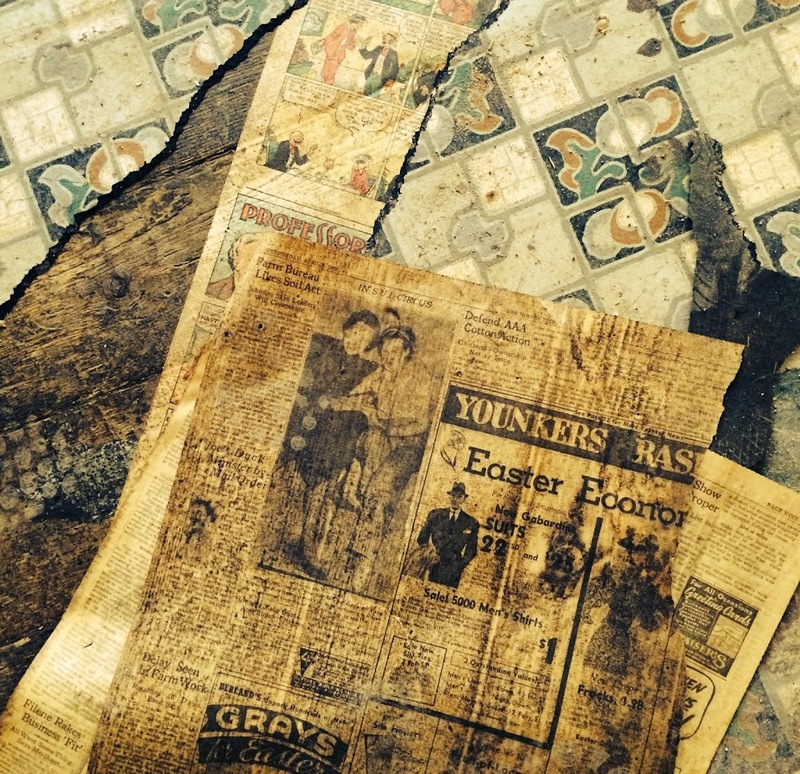 The original floors will be re-finished… but first they’ll take up the vinyl, which appears to have been installed over newspapers from 1936. The timing of this project is interesting, as the downtown Winterset area is heading toward designation on the National Register of Historic Places. There may or may not be some grant opportunities available for restoration because of that, but there will definitely be tax incentives. Their aim is to make it something the community can be proud of, to show what can be done. The contractor will be Amy’s son, Jack Sawyers, and the group is excited about his perspective on the work. He is willing to brainstorm and find solutions to keep as much of the original woodwork, glass, and flooring as possible, while making it a functional space. “To have a young, aggressive, innovative contractor who’s excited about a restoration project like this is really neat,” Jerry Parkin said. I think they’d follow her anywhere. And I’m with Jerry — I can’t wait.